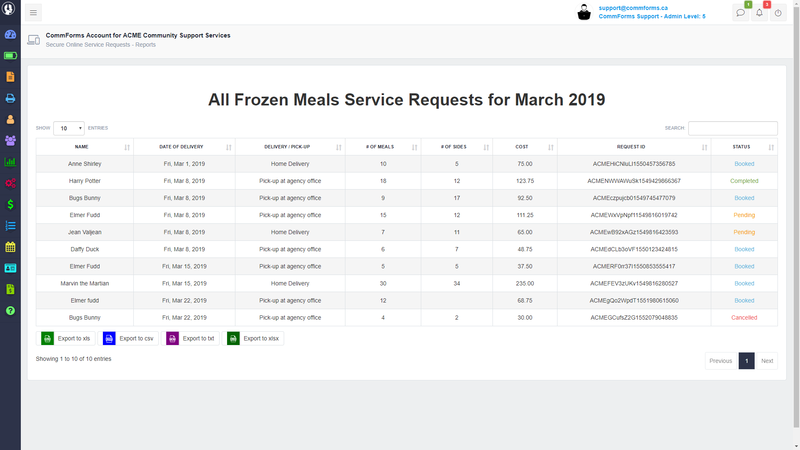 With CommForms, new or existing clients, caregivers or professionals can submit a service request such as a meals on wheels order or a transportation request. 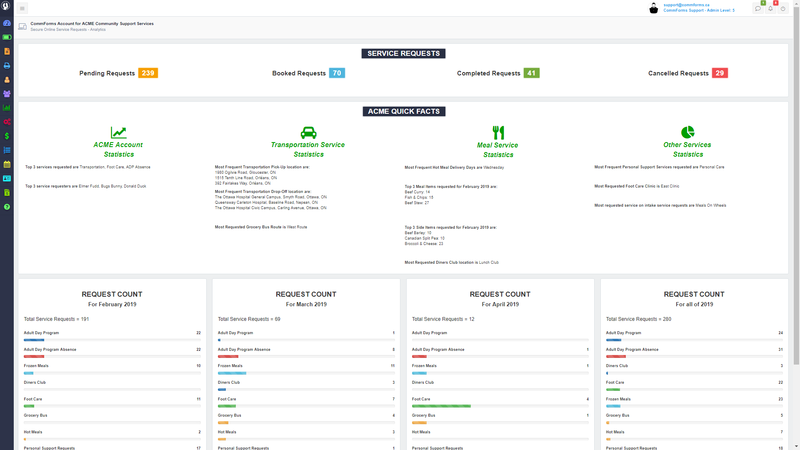 They can track the status of their requests, make changes or even cancel their requests securely online. CommForms is PHIPA & PIPEDA compliant and 100% encrypted allowing service requests to be securely submitted to you. 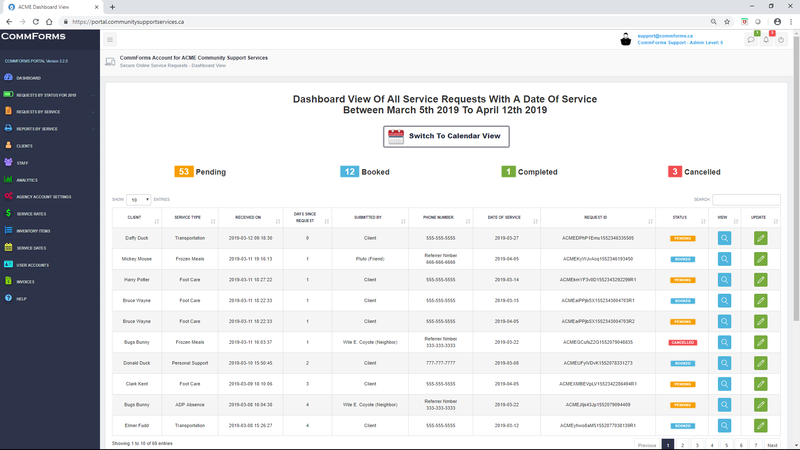 By receiving service requests by email notification, staff will spend less time listening to service request related voice-mails or taking orders over the phone and reduce the risk of associated errors when taking verbal service requests. From initial intake of new clients to receiving service requests from existing clients – to scheduling services, billing and updating inventory - using CommForms, staff are able to process these requests from start to finish. As a bonus when using our business package you will also have access to the portal at no additional cost! Staff can send secure automated updates back to clients and caregivers reducing the need for confirmation calls. Track & update inventories for meals on wheels, medical equipment, fleet vehicles & more!